Building Cleanouts and Green Disposal etc. A. Santini Moving & Storage Company is a family-owned relocation specialist. Our services include, but aren't limited to: FF&E, corporate office moves, advanced web warehousing and records storage, move consulting, project management, laboratory relocation, asset recovery, e-waste disposal, computer disconnects/reconnects, phone VoIP, white glove services, artwork relocation and high value products. 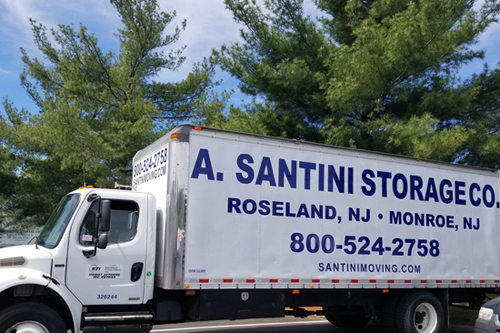 A. Santini Moving & Storage Company has been a leader in the industry for nearly four decades with our skilled and certified personnel, bonded labor and experienced management. For our complete "Corporate Overview" please click the button below.